How Far is Apurva Elite? 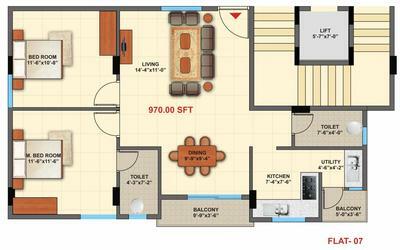 Apurva Elite is located in Sarjapur Road. Enjoy the real solitude and spend more of quality time with your family, to make it a reality. Apurva Elite has come up with 2BHK and 3BHK apartments in Sarjapur road which are having all facilities and a great investment too. Apurva Elite Flats for Sales in Sarjapur Road promises to give you that rare feeling of being far away from the rest of the world. But what is truly amazing about this property in sarjapur road is that all this serenity and calm sits right in the middle of the city. Located off Sarjapur main road, in the midst of IT Corridor PurvaMithra Developers gives easy accessability to renowned International Schools, Esteemed Hospitals, Shopping Centres, Restaurants & Hotels. Apurva Elite is surrounded by more than 50 major IT companies like Wipro (Corporate Office), Intel Technology , Microsoft India, etc. Apurva Elite is near to many renewed international schools like Harvest International school, Delhi Public School, India International School. Esteemed hospitals like Karunalyam Hospital, Punarjani Ayurvedic Hospital are near to Apurva Elite. 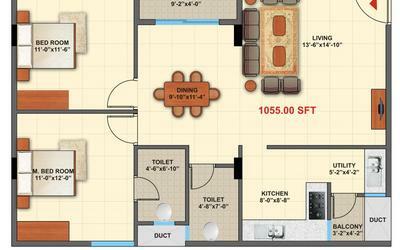 If you looking for spacious 2 & 3bhk apartments in Sarjapur, Apurva Elite is the best.100% vaastu compliance. PurvaMithra Developers - Ability to quickly ramp-up large pool of labor and equipment to handle large construction assignments at short notice. PurvaMithra Developers are committed to provide quality residential and commercial buildings to the almost satisfaction of our valueble customers with the involvement of all concerned. 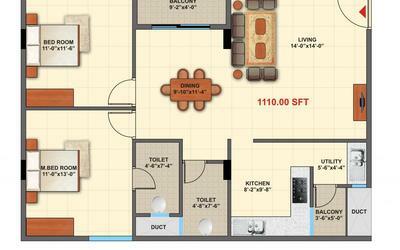 PurvaMithra Developers are Continuously improve the effectiveness of Quality Management System.